GeoConsult can assist in the control of coal quality by refining field sampling techniques, provide reviews and recommendations pertaining to coal testing programs and the customising of comprehensive database packages. All of this will allow the mine site to monitor coal quality variations in a more efficient, accurate and cost-effective manner. Correct sampling and then handling all of the mines coal quality data enables the modelling of coal quality across the mine site/lease, time series analysis of data and generation of prediction models to be achieved in a simple and timely fashion. The ability to manage the coal quality dataset of your mine within one package will allow the viewing of historical trends of coal quality parameters as well as plan future mining strategies to maximise utilisation and profit. To harness the information collected over the years of the mine's life and include current data will be an invaluable asset and increase efficiency within your organisation. How Can GeoConsult Coal Quality Services Assist? 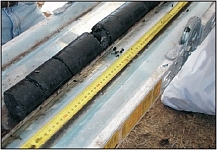 Review the procedure for coal quality sample collection in the field, to ensure both correct sampling techniques and sample handling methods are employed to achieve accurate results. Review the coal quality testing program to add or modify tests to improve information gathered and eliminate potentially unnecessary testing expense. Collation of all historical and current coal quality data into one comprehensive database which will allow coal quality modelling of different seams/working sections. Deliver critical information to marketers to allow maximum penetration into coal markets. Inpit drilling, sampling and data analysis. 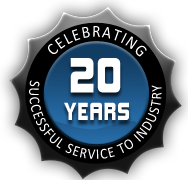 Offer an entire package to the client to be responsible for field sampling, testing, advice and storing of all coal quality information and provide modelling and analysis of all coal quality data.